An icon of evolutionism. Apes-to-humans often shows ancestral hominids as dark skinned. What’s wrong with this picture? More blatantly than most, it typifies the racism inherent in a lot of human evolutionary progressions. Did you notice that the transitional hominid just before the end (second from right) looks like a modern-day African (albeit a bit scruffier), while the pinnacle of human evolution is a ‘white’ European-looking man? Why is a white person as a representative of modern humans, when a majority of the world’s population has medium-brown skin, eyes, and hair coloration? The subtle message here is that lighter skin means that the individual is more evolved. 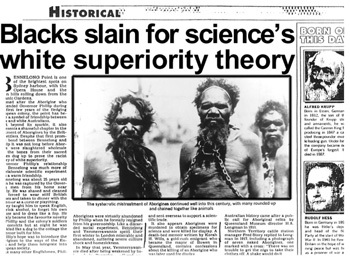 The shocking thing is that this image isn’t from a fringe white supremacist group, but from the highly respected Smithsonian.com website, as an illustration to its ‘Top ten daily consequences of having evolved’ article.1 And in the comments under that article (at the time of writing—a month after the Smithsonian article’s posting), not one commenter noticed the blatant racism in the image. Why is this? Many comments argued that the darker coloration of earlier evolutionary forms was from fur or darker hair. However, this Homo erectus sculpture from a German museum exhibit which opened in 2006 shows how this is not a one-time aberration or faux pas. Notice the detail used in selecting the skin colour and hair type. Darwin himself thought of certain groups of dark-skinned people as closer to apes than their melanin-deprived counterparts. Indeed, it’s notable that the very people who came up with the theory of evolution and embraced it most passionately—upper-class European men—happened to be the ones who represented the pinnacle of evolution in their own minds. Evolutionary theory still soundly endorses the idea that humans evolved from apes. Many will have heard of the claims that human and chimp DNA are around 98% similar. This is now shown to be a myth, yet it is still cited by most scientists and laypeople as an evidence of ape-to-human ancestry. Also see Greater than 98% Chimp/human DNA similarity? Not any more. However, when a biologist calls mankind an evolved ape, that’s seen as a scientifically accurate statement! This evolutionary myth is the reason why it’s seen as racist or politically incorrect to call a black person a ‘monkey’. For instance, an image was deleted from Google which blended the US First Lady’s picture with that of a monkey as being offensive and racist. But similar pictures exist of nearly every unpopular political figure, including several white presidents. See our article on how the International Soccer Federation (FIFA) tried to take steps to halt the abuse of black soccer players with monkey chants and ape-like noises emanating from the crowds. See Do monkeys play football? But when a biologist calls mankind an evolved ape, that’s seen as a scientifically accurate statement! In fact, this evolutionary idea that various races were less evolved than others, while it was in vogue, had devastating consequences for black and mixed-skin-toned people across the world. 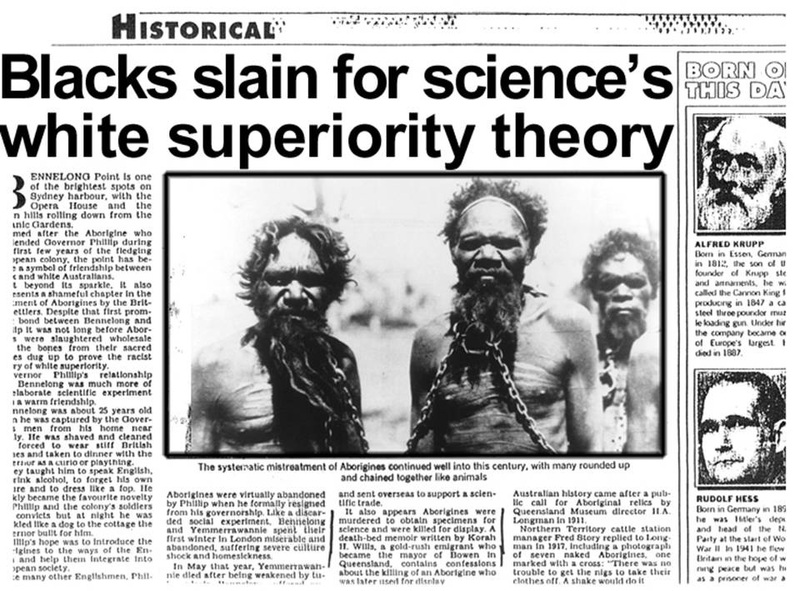 Early Darwinists suggested that Australian Aborigines might be the missing link and many were killed to be put on display in science museums around the world. The Bulletin, November 12. 1991, pp. 30–38. Researcher, David Monaghan, spent 18 months documenting atrocities perpetrated in the name of science. It culminated in a documentary called ‘Darwin’s Bodysnatchers’. However, see this article of how one white Aussie was able to donate a kidney to his best mate (buddy) who was a full-blood Aboriginal . This aptly demonstrates that organ donation from a different race or people group does not preclude a successful outcome. And occasionally people exhibit characteristics of a ‘race’ from which they have no ancestry. Evolutionism cannot adequately provide a logical foundation for treating people equally. But if they got it so badly wrong then, why should we trust their science now? In America in the early 20th century, an African pygmy named Ota Benga shared a cage with an orangutan and was put on display in the Bronx Zoological Gardens as an example of a less-evolved type of human. Many evolutionists get very angry when we point out the damage done to countless human beings as a result of a faulty evolutionary worldview. That’s because most evolutionists today aren’t racist, because the science (modern genetics) has caught up with what the Bible has clearly said all along—that all humans are incredibly closely related. But a century ago, they claimed that their evolutionary ‘science’ was correct, and such views were taught in the majority of the Western world’s public schools. But if they got it so badly wrong then, why would we trust their interpretation of science now? It is noteworthy that the abolitionist movement came out of a Christian worldview. The great British anti-slavery advocate, William Wilberforce, believed that all men were created equal and “in the image of God”. Even though the ‘science’ of his day could not account for the similarity of all human beings (in fact, they were more likely to notice the differences), Wilberforce took a stand on the Bible. Yet this view would not be vindicated by science until many years after his death. 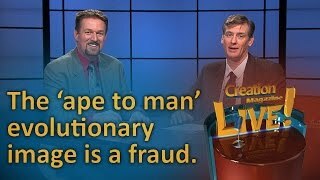 This is a cautionary lesson for all Christians who choose to compromise with evolutionary theory. Evolution cannot provide an adequate and logical foundation for treating people equally. Even today, the leading lights of evolution are condoning the Nazi-like practices of the past by advocating eugenics, as Darwin himself did. See Dawkins and eugenics and The Holocaust and evolution. Real observational science demonstrates that the genetic variations of all human beings, regardless of skin colour, eye shape, or size is less than one percent of the total sum of our DNA. 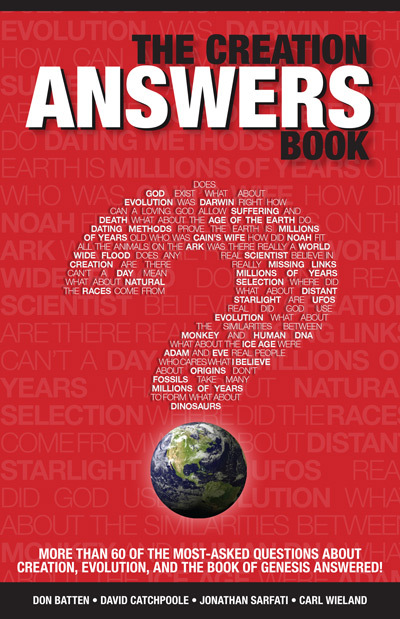 The finding that all humans are closely related, so much so that ‘race’ is a biologically meaningless (manmade) term, is no surprise to biblical creationists, who believe that all human beings are descended from Adam and Eve who lived about 6,000 years ago (and who probably had medium-brown skin, hair, and eyes, like the majority of earth’s population today). In fact, we’re even more closely related than that—every person alive today is descended from Noah and his three sons, who with their wives were the only people to survive the worldwide flood. So our closest common ancestor was only around 4,500 years ago. 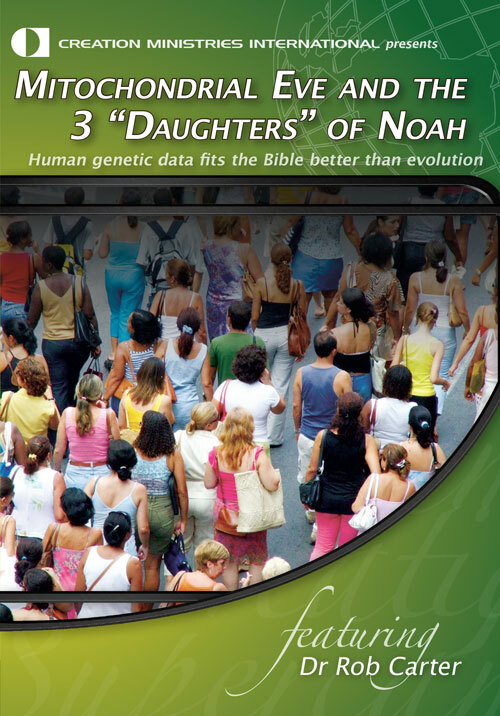 Also see Adam, Eve and Noah vs modern genetics. Which of these twins is more evolved? See. Two-tone twins. Photo by Gary Roberts, . The variations in appearance that are the major determining factor in ‘racial’ classification are primarily cosmetic. For instance, coloration is controlled by one pigment—melanin—of which darker people have more, and lighter people have less. The amount of melanin is controlled by the number of melanin-producing cells, called melanocytes; dark-skinned people have more while light-skinned people have fewer. Other differences in appearance, such as the almond-shaped eyes of Asian people, are the result of similarly minor differences. So where did these differences in appearance come from if we’re all closely related? The most likely explanation is that the Tower of Babel event, when mankind’s languages were confused, separated family groups who were forced to spread across the world. These family groups probably contained a mix of traits, but certain ones became fixed, with other traits being selected against because of their environment or living conditions. For instance, light skin would be a disadvantage in places like Africa or Australia, where skin cancer would be a major concern due to the hot climates. This is because lots of melanin that results in darker skin acts as a natural sunscreen. In Europe, especially during the Ice Age, people with lighter skin would be more able to absorb vitamin D from the sun, so they would be more able to survive. But that there is a limit to this process is evident from the Eskimo population who has middle-brown skin, and the South Americans who live in an equatorial climate, yet also have middle-brown skin. The Gospel of Jesus Christ, the Creator, is the greatest force against racism, because every descendant of Adam is offered salvation through Christ equally, regardless of race or class. For the believer, “there is no Gentile or Jew, circumcised or uncircumcised, barbarian, Scythian, slave or free, but Christ is all, and is in all” (Colossians 3:11). When Paul was proclaiming the Gospel to the Athenians, he declared that “from one man He made all the nations, that they should inhabit the whole earth” (Acts 17:26). Rob Dunn, “The Top Ten Daily Consequences of Having Evolved” , 19 November 2010, accessed 20 December 2010. Return to text. Albert Speer, Inside the Third Reich, p. 73. Return to text.